Parkinson’s disease is a long-term degenerative neurological disorder, which, according to the Parkinson’s Foundation, affects more than 10 million people in the world today. The disorder is very diverse, and no two people experience it in quite the same way, though the main finding is a loss of dopaminergic neurons. However, more than 25% of afflicted people have the action tremor that so many people associate with Parkinson’s. These tremors are part of what makes the disorder so difficult – they restrict people from accomplishing simple tasks around the house, so living alone can be very challenging. But, researchers from Western University, supported by the Peter C. Maurice Fellowship in Biomedical Engineering, have developed a prototype wearable tremor suppression glove, complete with 3D printed components, that could make life easier for people living with Parkinson’s. 3D printing has been used to create devices that monitor the symptoms of Parkinson’s, and researchers in Australia are 3D printing brain tissue from human stem cells, which could one day be used to treat the disease. But until then, people with the disease have to find some way to live with symptoms like tremors. Together with the members of her Wearable Biomechatronics Laboratory Group, which focuses on developing the next generation of mechatronic systems for rehabilitation, Trejos has completed studies showing that tremor suppression devices targeting the wrists and elbows often make things even harder for people with Parkinson’s, because the devices can produce exaggerated tremors in the fingers. Wearable Biomechatronics Laboratory Group; Ana Luisa Trejos is in the center of the top row. But this time, Trejos and her team developed a novel approach for designing wearable technology that actually lets people with Parkinson’s demonstrate better motor control, while at the same time lowering, and even restricting, the involuntary muscle contractions that are so common to the disorder. Michael Naish from Western’s Mechanical and Materials Engineering and Ana Luisa Trejos from Western’s Electrical and Computer Engineering examine a prototype of a wearable tremor suppression glove modeled by Western doctoral student Yue Zhou, who 3D printed its key components. “While collecting data, we have seen first-hand that people with Parkinson’s get really frustrated when they can’t do something on their own and I feel our glove will allow them to get back to their daily living. It can be very frustrating to not be able to eat or button a shirt on your own. Or even draw. Things we take for granted,” Trejos said. “By creating a glove that allows people to perform these actions while suppressing the tremors, I think they could go back to being much more independent in their own homes for a far longer period of time. Most tremor suppression devices focus on doing the obvious – suppressing tremors, like the ones people with Parkinson’s are afflicted with. But the Western research team’s personalized gloves, which have 3D printed components, take a different approach – they are actually able to track voluntary movement. So, if someone with Parkinson’s is attempting to complete a specific task, the gloves actually minimize the tremor, while also allowing the action to take place. 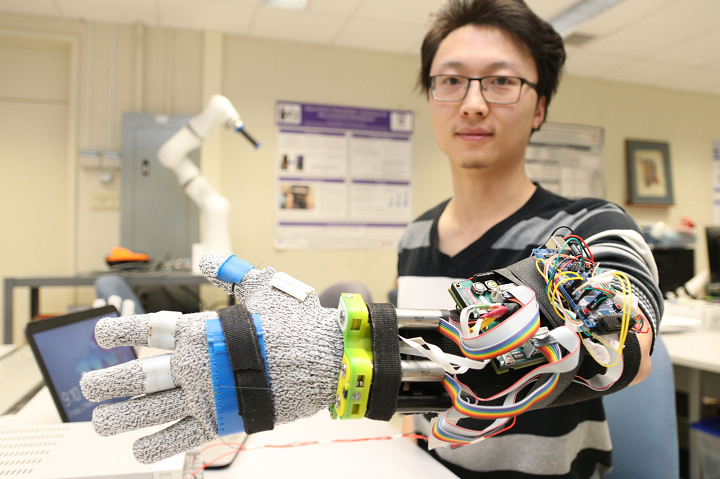 The team’s prototype glove was created specifically for the left hand of Yue Zhou, a Western doctoral student from the Wearable Biomechatronics Laboratory Group who also 3D printed the key components of the glove. Michael Naish from Mechanical and Materials Engineering at Western and Mary Jenkins from the university’s Schulich School of Medicine & Dentistry were also project collaborators. Yue Zhou models new prototype for wearable tremor suppression glove. The doctoral student from the Wearable Biomechatronics Laboratory Group 3D printed its key components. In order to maximize the benefits of the team’s new wearable technology, the gloves and their 3D printed components will eventually be custom designed for each of patient’s hands, so they can get through life with Parkinson’s a little more easily. What do you think of this news? 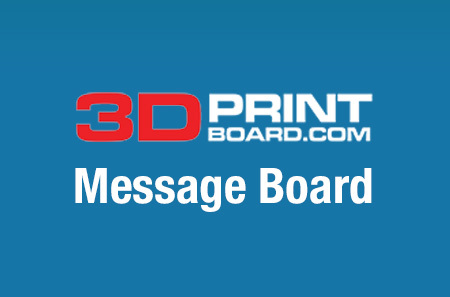 Join the discussion of this and other 3D printing topics at 3DPrintBoard.com, or leave a Facebook comment below.